"I so sorry to hear of Maggie passing. I spent everyday..."
"So sorry to hear of Maggies passing. Another good soul gone..."
"I am sorry for your loss. May the peace of God be with you." 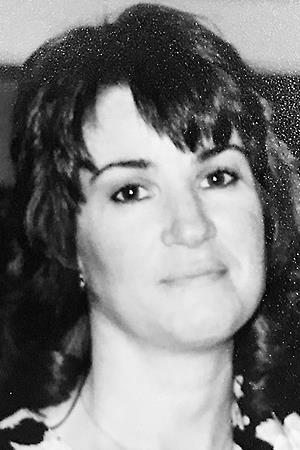 WEST BALDWIN - Maggie Black, 67, passed away at the Mercy Hospital Hospice Center in Portland on Tuesday, Sept. 11, 2018. She valiantly battled ovarian cancer for over three years. Her grit and stubbornness gave her that added time. She was born April 25, 1951, to Henry and Helen Black. Maggie attended Baldwin Elementary and was a graduate of Fryeburg Academy. She was a member of the Future Homemakers of America, Library Council and Drama Club. She attended the University of Maine Bangor, Andover Institute, and Southern Maine Technical College. The family farm in Baldwin was built in 1784. It is the oldest structure in town. Her parents deeded the property to her many years ago and she took great pride in maintaining and enhancing the homestead. She inherited a deep passion for all animals, especially pot belly pigs and cats. Gardening, flower beds and dancing were also priorities. She and her siblings were always active 4-H members and participated in many regional fairs. Maggie's work life included servicing as a unit clerk at Spring Harbor Hospital for 25 years. Larry Lord was at her side during the hospice care. Ben, the cat, was manning the house. She was predeceased by her sister, Valerie; and her parents. Survivors include her sister, Dianne Dunning, her husband Conrad and their children Aaron and Rachel of Baldwin; nephew, David Ellis, his wife Katie and their two children of Jupiter, Fla.
Maggie was extremely grateful for all the hospital and home visits. Help from her immediate neighbors, friends from Fryeburg Fair and co-workers from Spring Harbor was invaluable. Attention from long time friends from Bridgton and New Hampshire was important. The genuine care from the medical care givers was extraordinary. There will not be a service. Her wishes are to have the ashes spread in a field at the farm. It has been a family tradition. , Cornish. Online condolence messages can be submitted at www.mainefuneral.com.